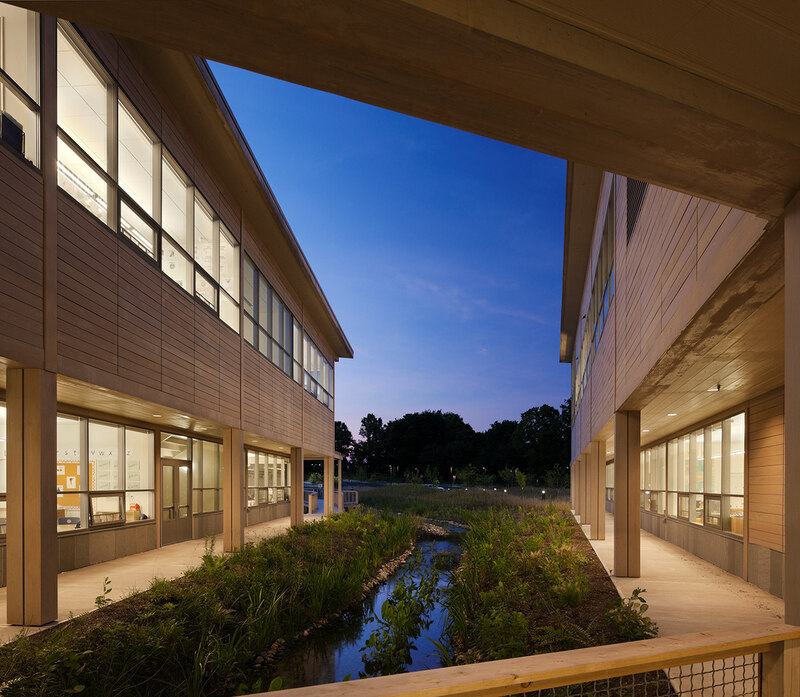 The Rogers School is a new environmental magnet school that creates a vibrant community for learning on a remediated brownfield site. 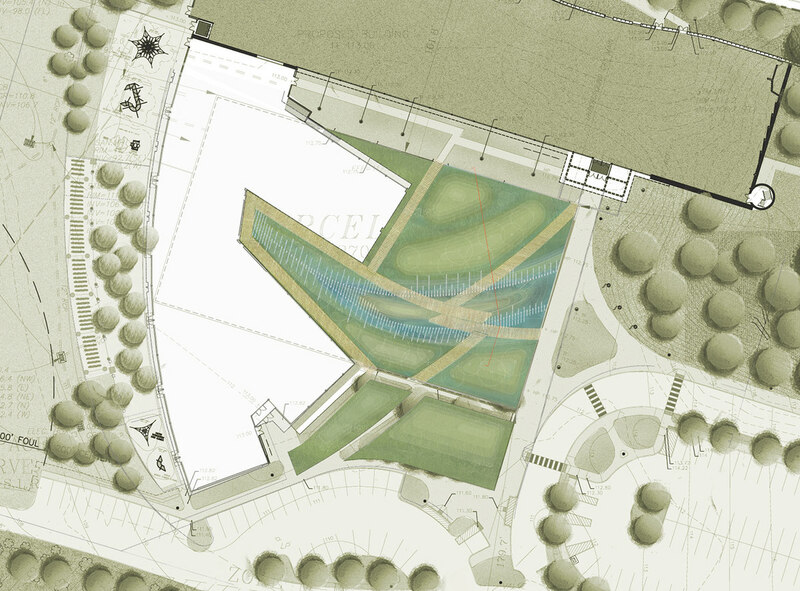 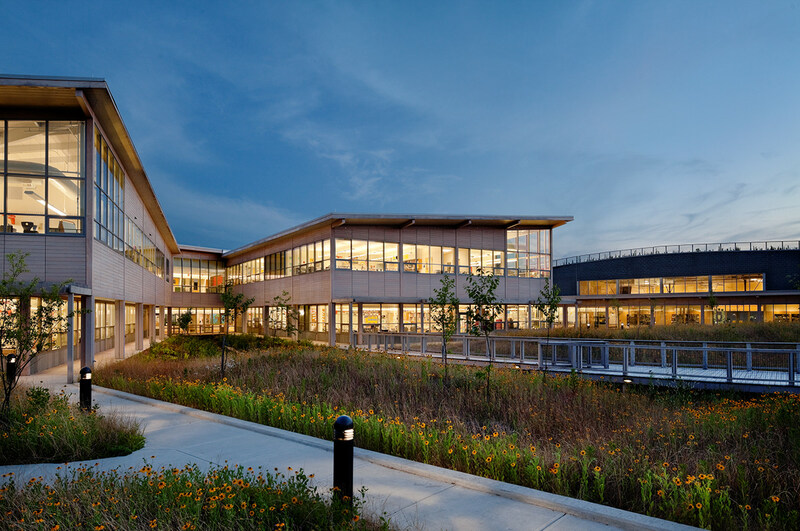 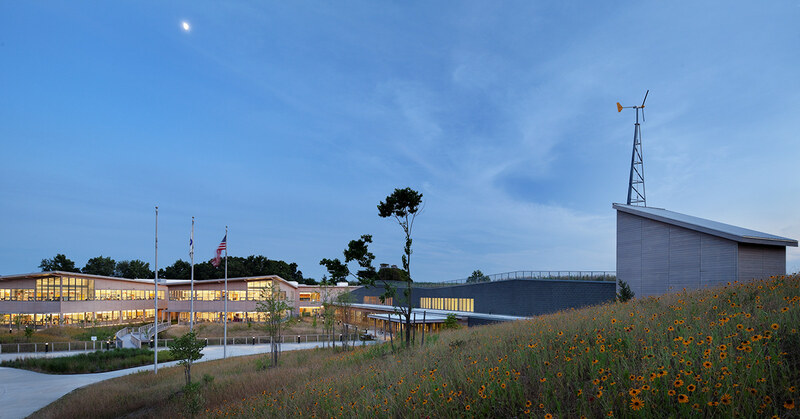 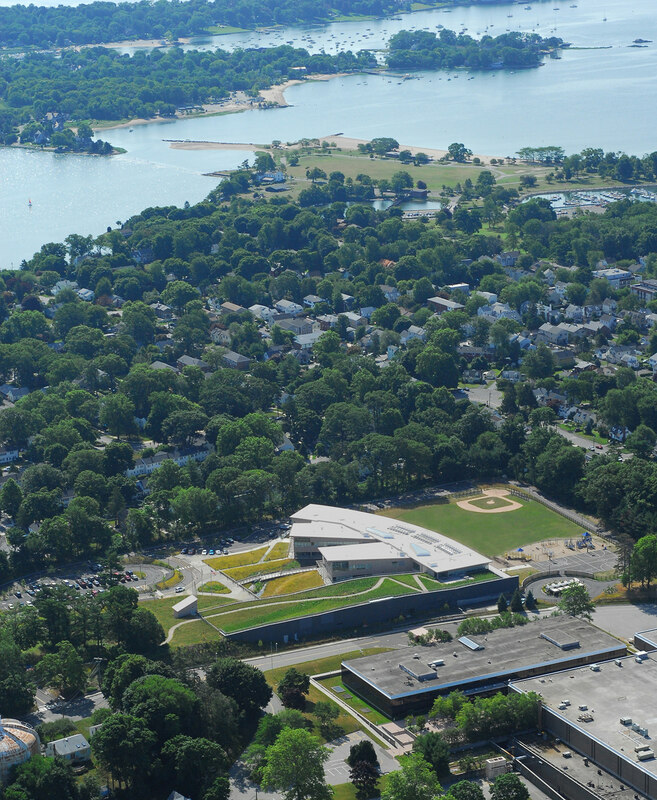 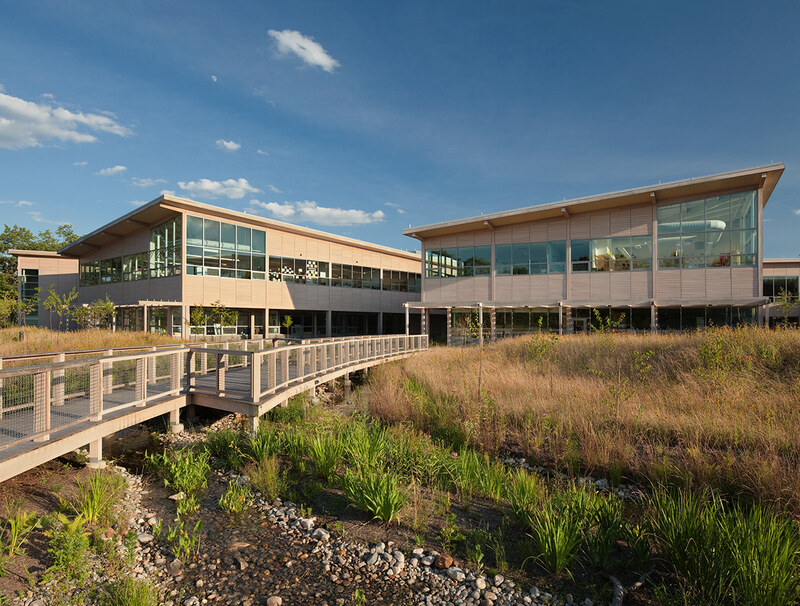 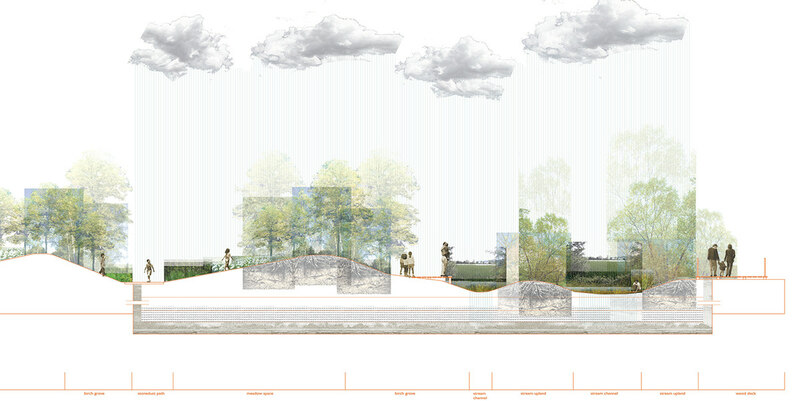 The design demonstrates ecological stewardship through its four prominent environmental demonstration components: a large intensive green roof for educational use; a rain garden demonstrating the natural filtration process; a rain and stormwater collection system; and wind turbine demonstrating ‘free energy’. 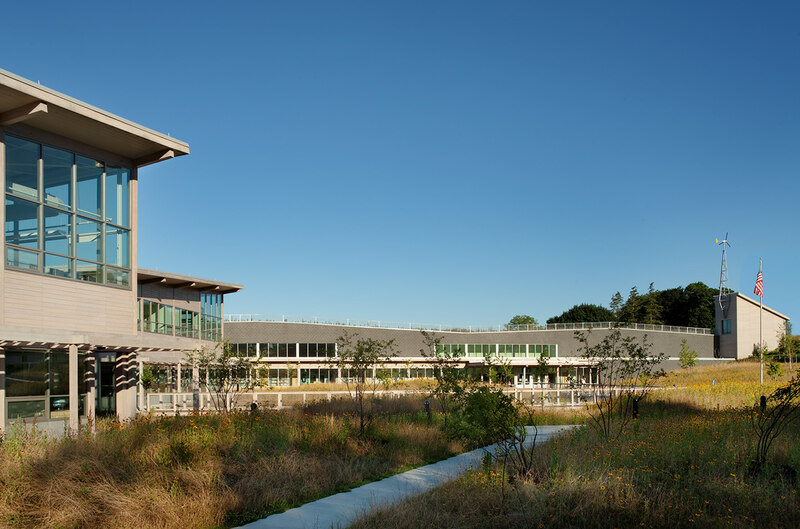 As a LEED™ Silver project, the landscape and building frame the existing infrastructure, recycling the foundation walls to contain a centralized storm water collection area. 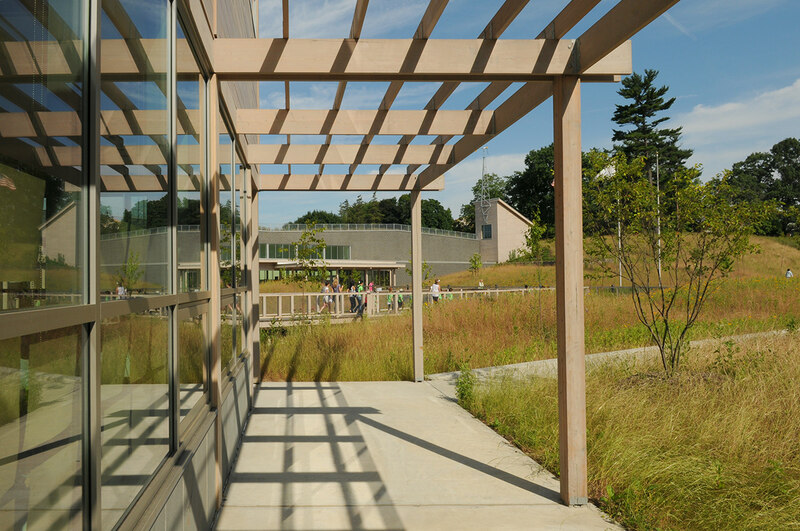 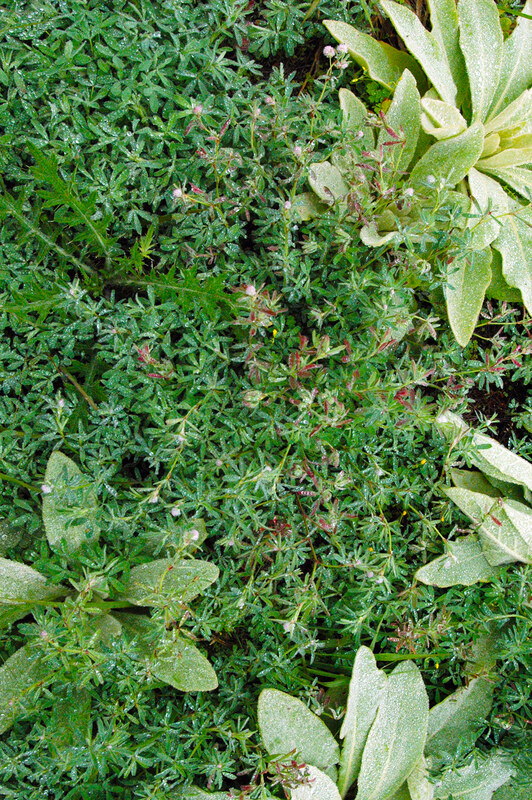 In these exterior classrooms, inquiry focused learning and play engender a deep understanding of ecological systems. 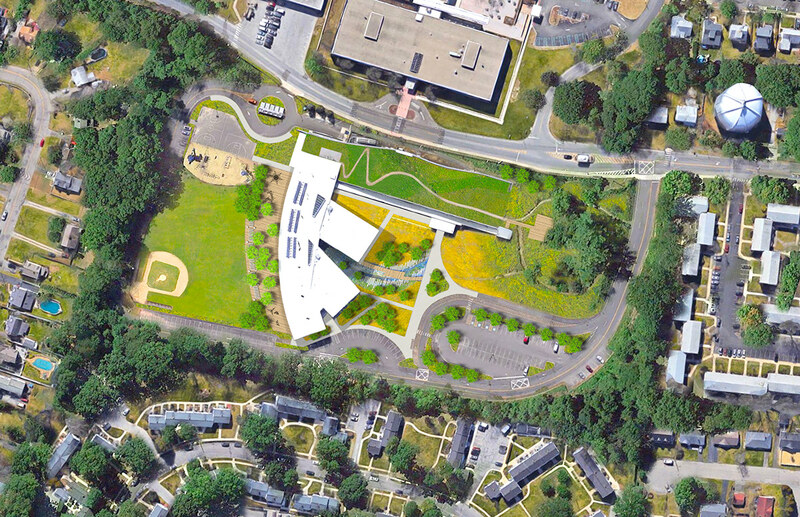 This regenerative project offers a new paradigm that integrates environmentally sustainable practices into the curriculum and environmental design of this new “green school for future global citizens”.